Last edited by alfistivirus; 12-17-2018 at 03:14 PM. 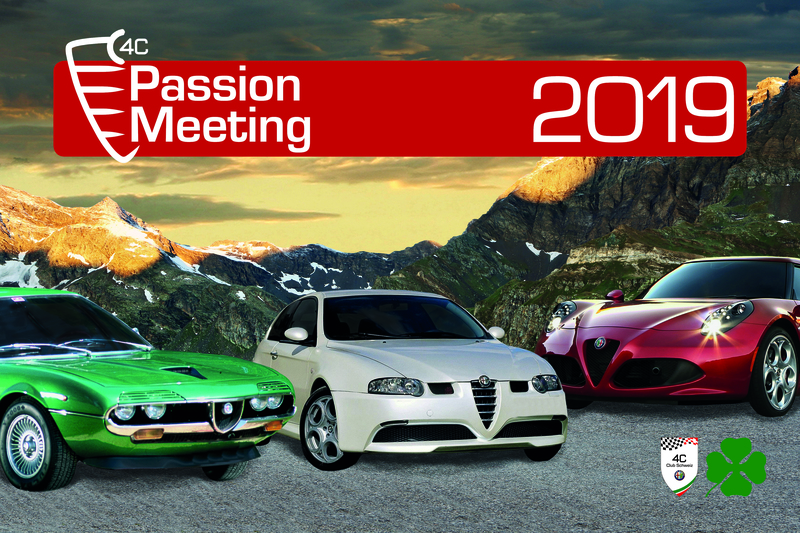 This is the new 4cpassionmeeting Eventlogo! With this logo and the event we want to write history with all Alfisti and celebrate Alfa Romeo. More info for Saturday 1.6.2019 in Interlaken Switzerland will follow.. The motto for 2019 is "4c meets Alfa Romeo's past & presents". Veloce2 and dbell like this. oops... didn't see this and started another thread! I was planning to go to visit my family in Basel and the Alps in June and thought it would be great if the dates lined up and check out this meet too. Our new HomePage of the 4cpassionmeeting is now online with all information (arrival, hotels, review etc.) and in 3 languages - every Alfa Romeo model can register via the homepage - have fun! Today 03:50 PM by gybe!